I have to say it: Forrest Gump is not a good movie. It's just more of the same Hollywood mumbo-jumbo formula, that gives you a warm and fuzzy feeling inside, and makes you smile the next time you see a retard, thinking about that immortal line: "Run, little retard. Run!" We all know however that a real life boy like Forrest Gump would never do all the things he did in the film. And that's why we call it "Hollywood magic." The story of a real life imbecile such as mr. Gump would be much more dark and sinister. Probably something more along the lines of the story of mr. Bubby, portrayed beautifully by Nicholas Hope in Bad Boy Bubby. Now mr. Bubby is not actually retarded. He's just been locked in a basement with his mother for 30 years. What happens when he finally manages to break free? Watch the film to find out. The discovery of Josef Fritzl's monstrous ordeal 15 years after this movie was made, makes it all the more horrifying. Yet it also offers hope that Fritzl's children might still have a chance of achieving happiness and well-being in their life. 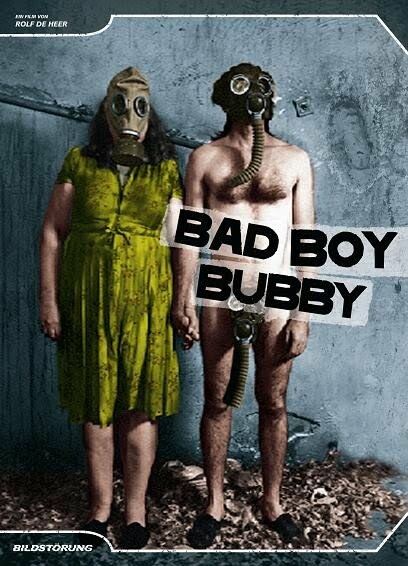 While Bad Boy Bubby is not for the squeamish, it's still somehow a feel-good film.